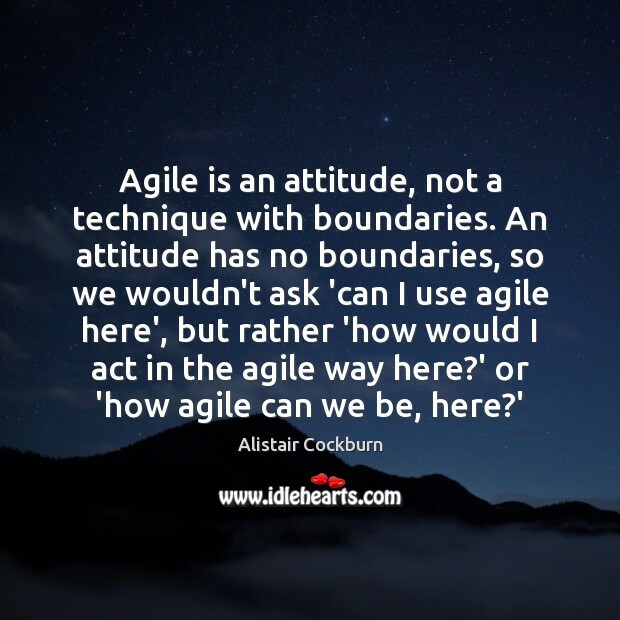 Enjoy the best inspirational, motivational, positive, funny and famous quotes by Alistair Cockburn. Use words and picture quotations to push forward and inspire you keep going in life! 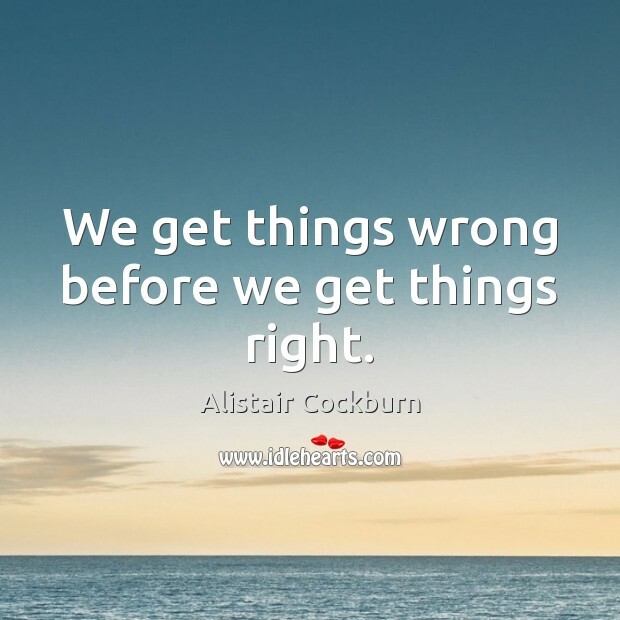 We get things wrong before we get things right. 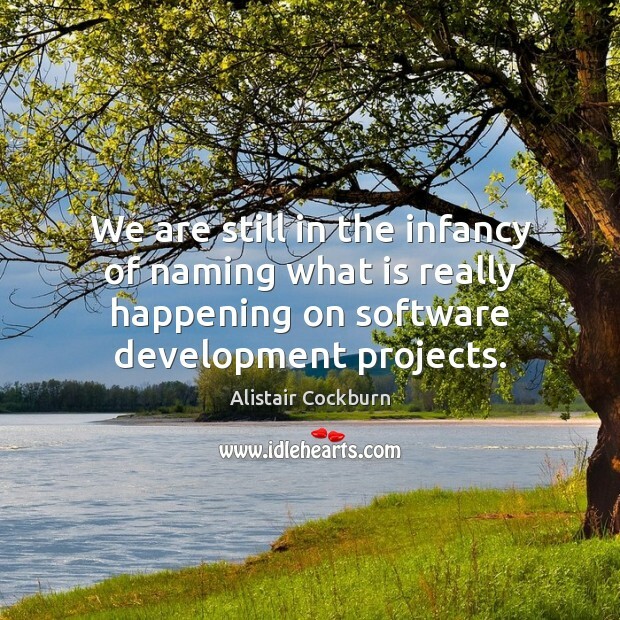 We are still in the infancy of naming what is really happening on software development projects. 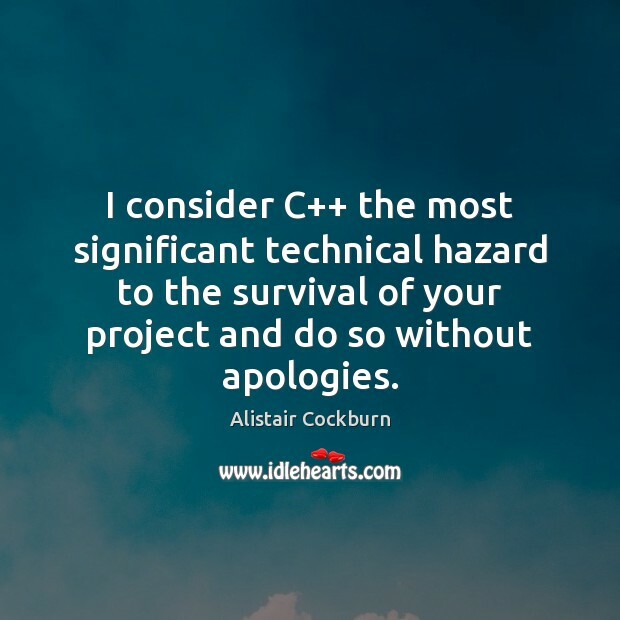 I consider C++ the most significant technical hazard to the survival of your project and do so without apologies. 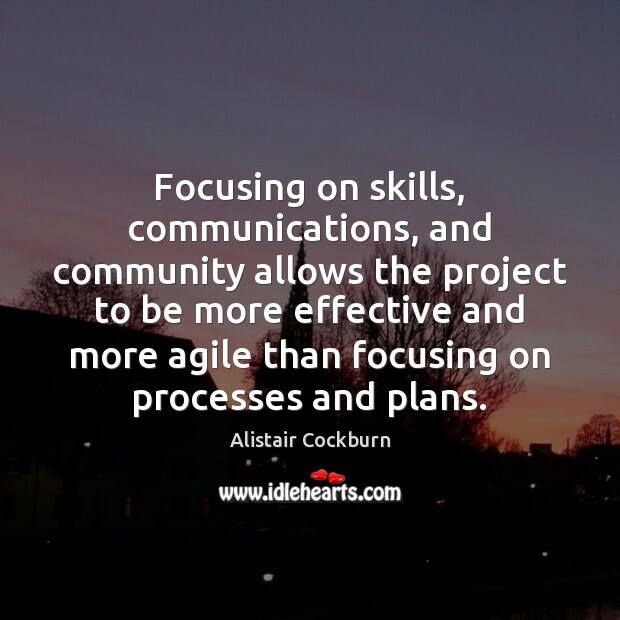 Focusing on skills, communications, and community allows the project to be more effective and more agile than focusing on processes and plans. 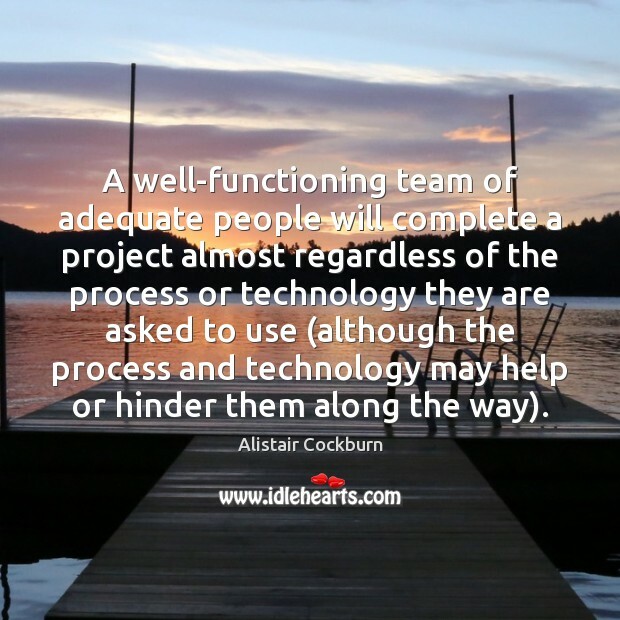 A well-functioning team of adequate people will complete a project almost regardless of the process or technology they are asked to use (although the process and technology may help or hinder them along the way).